In most states, law enforcement does not need to arrest, formally charge, or even convict some before taking permanent possession of their property. Some states, though, have established a criminal conviction as a prerequisite to forfeiture. Those states include New Mexico and Montana, both of which, just last year, passed this essential property rights protection for innocent owners. While a criminal conviction would not be required in Florida under SB 1044, the evidentiary standard it sets -- "proof beyond a reasonable doubt" -- is the same the government needs to secure a conviction. SB 1044, introduced by state Sen. Jeff Brandes (R-St. Petersburg), would also require the seizing agency to pay a filing fee of at least $1,000 to begin forfeiture proceedings and post a $1,500 bond that would be payable to the property owner if law enforcement fails to the evidentiary standard necessary to keep the seized property. Unlike other states where law enforcement has fought forfeiture reform, the Florida Sheriff’s Association and the Florida Association of Police Chiefs worked with Brandes on compromise language and backed SB 1044 as it worked through the Florida Legislature. "These sweeping reforms to civil forfeiture institute major consumer protections and prevent abuses against the property rights of Floridians," Brandes said after SB 1044 passed the Florida House. "I hope the Governor will join both houses of the Florida legislature and support these critical reforms by signing this bill into law." The Florida Sheriff’s Association thanked Brandes and other lawmakers involved in hammering out the compromise language and, similarly, "encourage[d] Governor Scott to sign this legislation into law." Because the Florida Legislature will adjourn for the year on Friday, March 11, Gov. 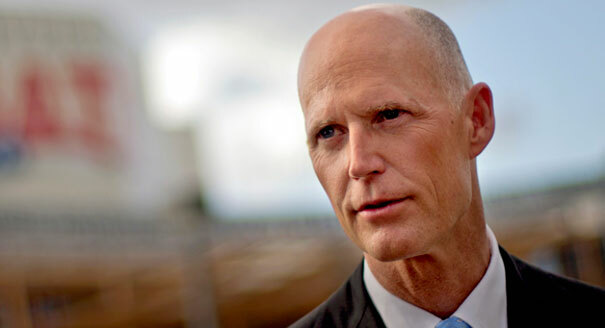 Rick Scott will have 15 days to sign or veto SB 1044. If he takes no action, the bill will automatically become law. Scott's position on SB 1044 is unknown, but because the bill has strong support from law enforcement, the outlook is positive.